*About The Book : Daisy Jones is a gorgeous temptress with alluring green eyes who is young enough to send men to prison for sexual relations with a minor. She is also the epitome of a gold digger raised to go after rich men by a bitter mother who is mad at her fate in life. Therefore; Mama Jones instilled in her daughter the art of manipulation and how to scheme on her prey. Daisy had no idea that her heart would get in the way of business until she met her match in Young Chio the southern rapper and c.e.o of a multi-million dollar empire. The story begins in Atlanta Georgia and travels up north to New York City, as drama unfolds involving a wide range of colorful characters namely the notorious crew the O.B.G’s. These women are a gumbo of hustlers, killers, and drug dealers who have earned a reputation in the streets for being beyond terrorist. Havoc ensues as the plot twists and turns. Deception, treachery and griminess threaten to swallow all the players connected to Daisy Jones. The end result of Daisy Jones wild lifestyle will wake up all the sleeping young girls and women who are trying to get to the top by getting their “Daisy” on. This book will take you thru a whirlwind of emotions and guaranteed to leave you gasping for a quick dose of reality because Daisy Jones lives in an insane world where nothing or nobody is what they seem. 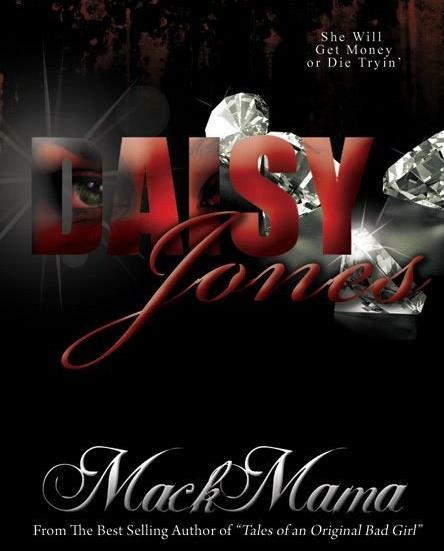 Come Meet Bestselling Author & Award Winning Blog Talk Rado Show Host Brooklyn’s Own Natoka MackMama Mackie (Daisy Jones & Tales Of An Original Bad Girl).We Are Not Just Online Anymore Come Out & Get Your Signed Copy Of Her Latest Books. WOW This is impressive! I will be there with Bells on.